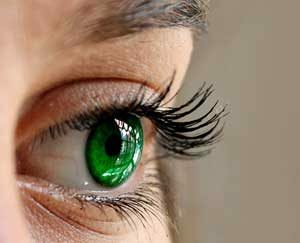 What Causes Eyelashes to Fall or Break? Will Eyelashes Grow Back? There are various reasons as to why eyelashes can break or why eyelashes fall. All women would love healthy, full and long lashes. For many women eyelashes are sparse, thin, unhealthy or they simply break and fall out. There are multiple reasons as to why eyelashes fall out or break. Alopecia Areata is a condition that many people deal with. The immune system attacks the various hair follicles on different parts of your body where hair grows, like scalp, eyebrows and even eyelashes causing your lashes or other hairs to fall out. This condition can be treated using topical treatments. Talk to your doctor if you are experiencing this condition. Allergies to your current Mascara: Maybe you have started using a new mascara. You notice that your eyelids are getting puffy, itchy or red. Mascaras typically have some sort of chemical substance to them. These chemicals can cause various allergies or sensitivities. Mascaras can cause issues for some women. These include dermatitis and conjunctivitis which basically deal with allergens coming in contact with the skin around your eyes, or when allergens get into your eyes causing irritation of the conjunctiva. The conjunctiva is the thin moist membrane that covers and protects the surface of your eyes. Overactive or Underactive Thyroid conditions can also affect the hairs of the eyebrows and the eyelashes causing them to become dry, brittle and to thin out. Improper rubbing of the eyes and environmental issues can promote eyelashes fall out or breaking off. Always be careful to gently rub eyes and properly clean your eyelids and properly remove eye liner and mascara each night. There can be other factors such as natural eyelash hair loss as with other hair on various parts of your body. This can be a natural cycle to cause new hairs to grow. Taking proper care of your eyelashes and eyebrows will help promote long, healthy lashes and eyebrows. Proper nutrition, vitamins and diet can also play a role with keeping your eyelashes healthy and lush.